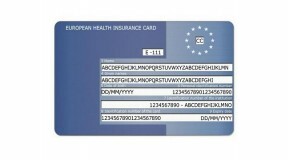 The European Health Insurance Card (EHIC) replaced the E111 back in 2006. So, if you’re planning to travel within the European Economic Area (EEA) it’s important that you have your EHIC with you as this can assist you in the event of need as well as save you a lot of money and hassle. It is however important to understand that the EHIC does not replace travel insurance and instead should be used alongside your insurance as the EHIC does not cover private medical healthcare or costs such as mountain rescue in ski resorts, being flown back to the UK, or lost or stolen property. As each country’s healthcare system is slightly different the EHIC should enable you to get the same treatment as a resident of the country you’re visiting although in some countries you may have to pay a patient contribution, also known as a co-payment. It will also enable you to access state-provided healthcare in European Economic Area countries, including Switzerland, at a reduced cost, or sometimes for free. It will cover your treatment until you return to the UK as well as any treatment of pre-existing medical conditions and routine maternity care but it will not cover you if your visit is specifically to give birth. The EHIC is free of charge and can easily be applied for online. 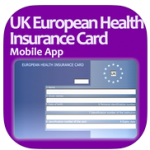 For those with smartphones, you can also download the app which allows you to keep all your details on your phone, will remind you before your card expires as well as provide you with useful telephone numbers and a hospital locator for the whole of Europe. If you’re looking for financial advice, why not yet in touch using the form below, and we will get back to you as soon as we can.